We are excited to welcome Namtek to our channel program. 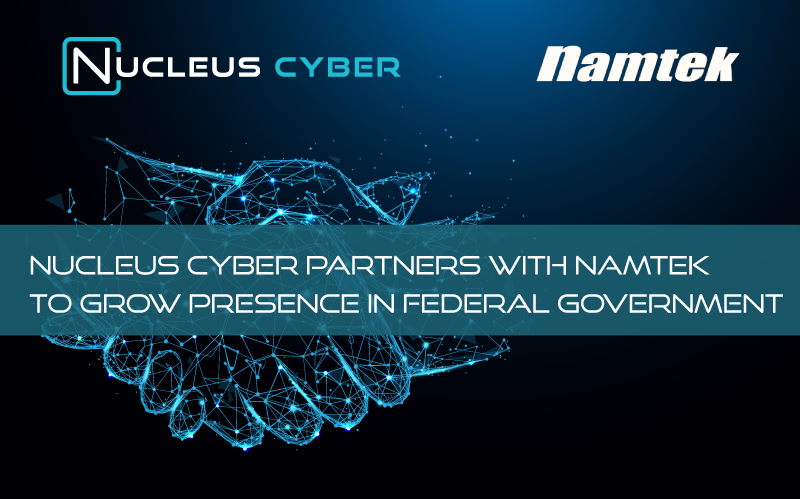 Their proven government experience makes them a perfect partner to expand Nucleus Cyber’s footprint in the federal market. NC Protect allows federal agencies to protect their most sensitive and confidential information from internal threats, including cyberespionage and misuse by overprivileged users. The NC Protect solution will be on Namtek’s contract vehicles, including NASA SEWP V and GSA, and distributed through their preferred business partners.